I love potatoes and this lovely recipe for Rosemary Potatoes adapted from a friend is incredibly tasty. This is a simple recipe, using chicken stock instead of butter. (You can even boil the potatoes in a combination of water, chicken stock or chicken bouillon to amp up the flavor a little). 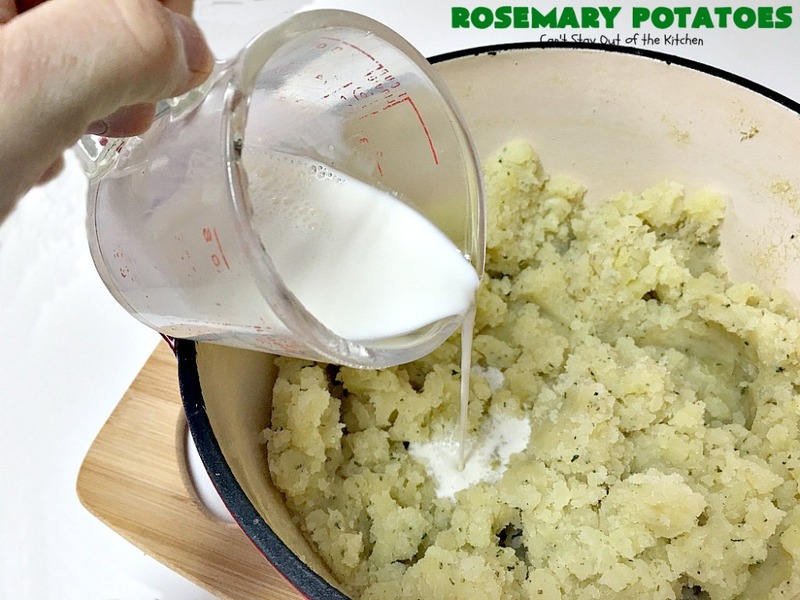 I used half-and-half instead of 2% milk, salt, pepper, parsley and, of course, rosemary! Rosemary is a very strong-flavored herb and it provides wonderful flavor for chicken, fish, potatoes and sweet potatoes, soups, breads and casseroles. I love using it in soup recipes, but it is exceptionally good with potatoes. Back in the 1990s, we had a friend at our church that was a caterer. 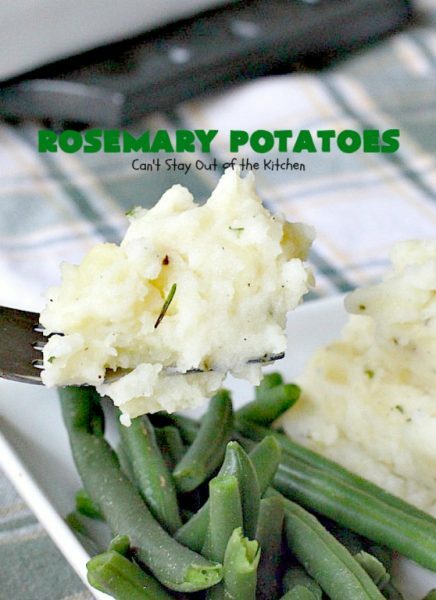 She used to make some form of Rosemary Potatoes all the time for potlucks. 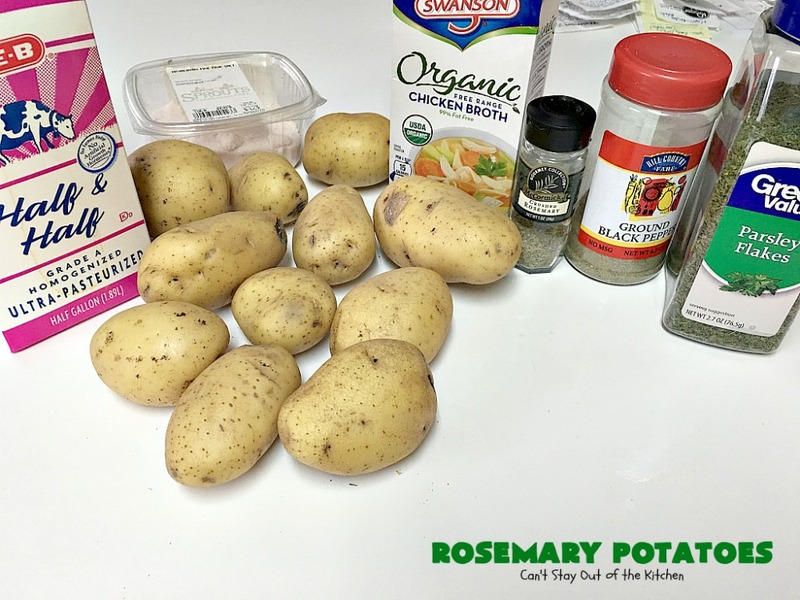 Some times she would add rosemary to Au Gratin or Scalloped Potatoes, but most of the time she would add it to Fried Potatoes, although a lot of times she would bake them rather than fry. Her potatoes were second to none. We loved them and that was the first thing I usually piled on my plate whenever she brought them. 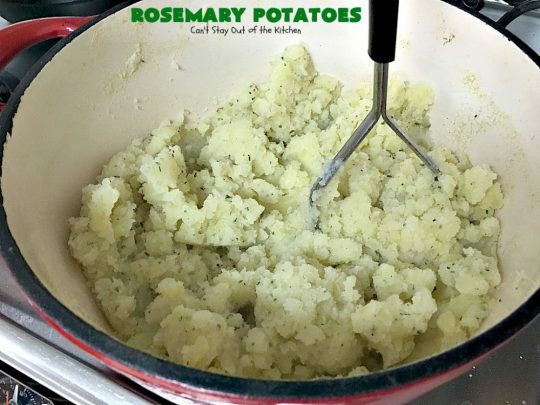 Rosemary Potatoes is a slight adaptation to her recipe by mashing the potatoes rather than keeping them in slices or chunks. Still, the outcome is delightful. If you’re not used to cooking with or eating rosemary, however, I’d recommend you start with a smaller amount and work up to the full amounts given. While I enjoy rosemary in just about anything, if you’re not careful it can really take over the taste of the food especially if it’s fresh (a lot like fresh basil). You can always add more but it is difficult taking it out if you prefer a subtler experience to your palate. So sample and taste as you go. Rosemary Potatoes are as easy to whip up as regular Mashed Potatoes and a nice change of pace from Parsley Potatoes, Garlic Mashed Potatoes, Potatoes Au Gratin or other Cheesy Potato recipes, or even something as different as Spinach Artichoke Mashed Potatoes. If you need a quick and easy side for dinner, give this dish a try and savor the delicious flavors as each bite is oh, so mouthwatering. 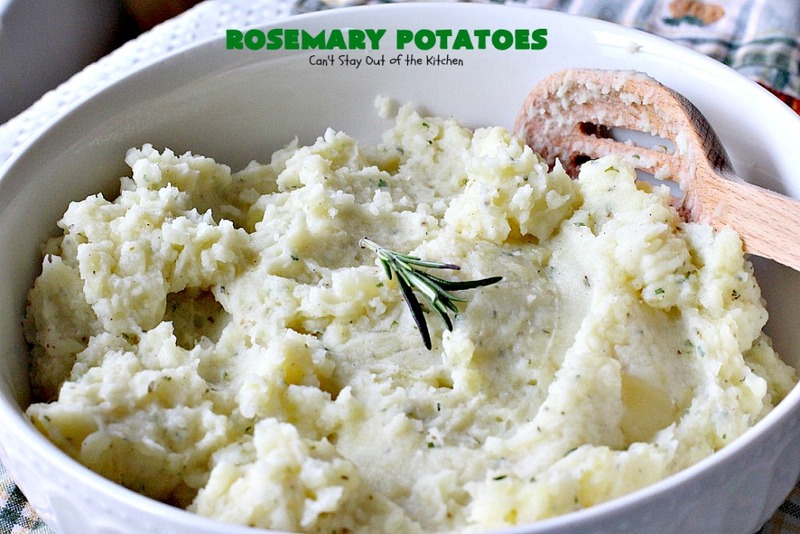 Rosemary Potatoes are delicious and satisfying. 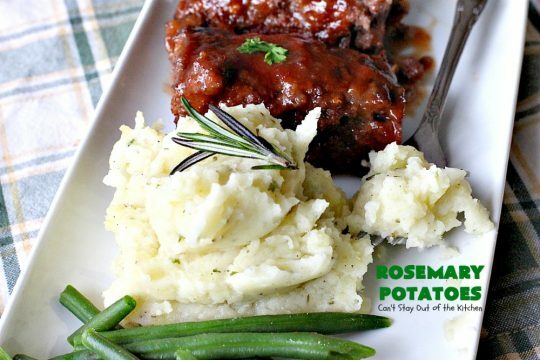 Rosemary Potatoes are great as a side dish for almost any kind of meat or fish. Boil potatoes. If desired, boil in part water/part chicken stock or add a few chicken bouillon cubes to the water when boiling. 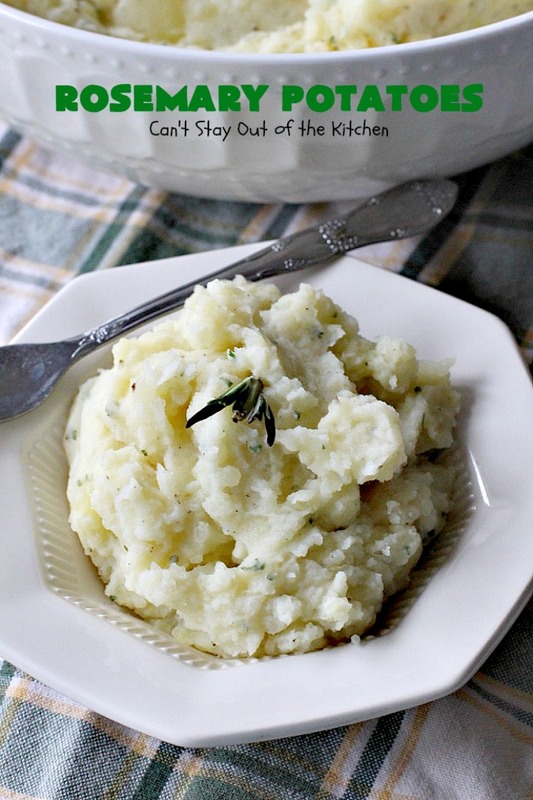 This will infuse more flavor into the potatoes making it richer tasting. Drain potatoes. Add seasonings and chicken broth. Mash ingredients with a potato masher until smooth. Add half-and-half cream and stir to combine. 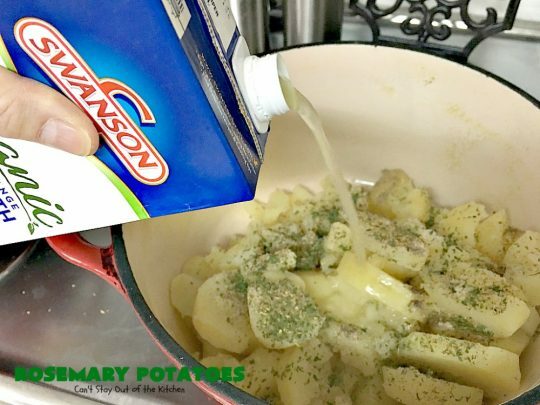 Serve Rosemary Potatoes garnished with additional rosemary if desired. 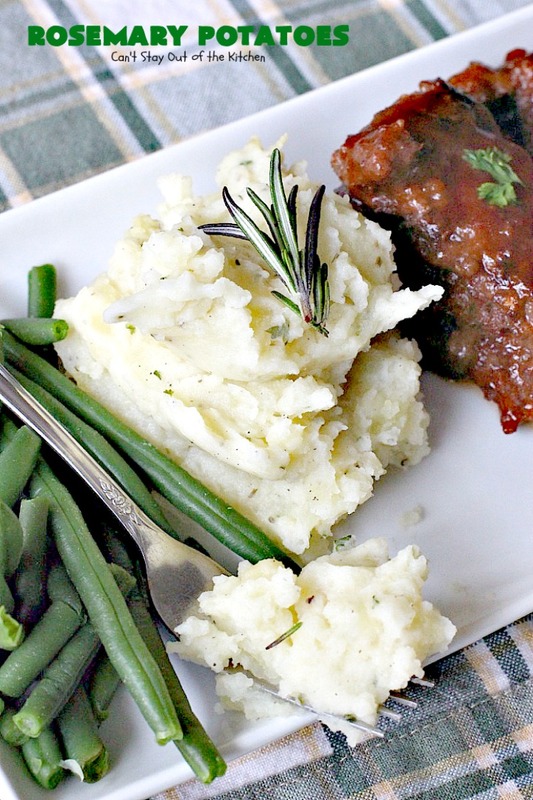 I served Rosemary Potatoes with Sweet and Sour Meatloaf and Green Beans. 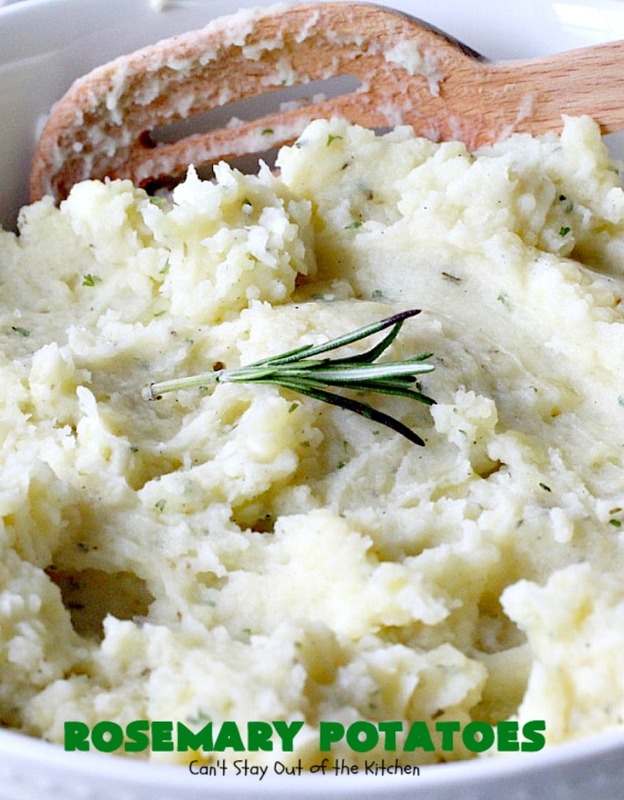 Better make plenty of these scrumptious potatoes. 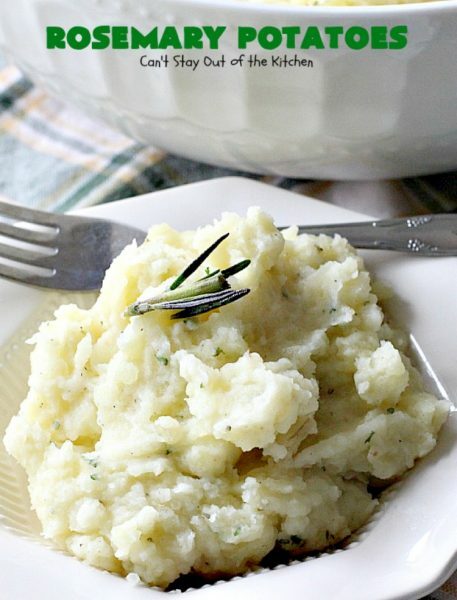 This delicious potato dish is perfect for the holidays. Quick, easy and delicious with the delicious fragrance of rosemary. Gluten free. Add broth and seasonings and stir to combine. Add enough half-and-half to make of a creamy consistency. NOTE: While I used 1 teaspoon rosemary, if you’re not used to the strong taste of rosemary, you may want to start with ½ teaspoon at first. Add more to taste. NOTE: This is also good using half water/half chicken stock to boil the potatoes in. You can also add chicken bouillon cubes to provide a richer taste. While I used 1 teaspoon rosemary, if you’re not used to the strong taste of rosemary, you may want to start with ½ teaspoon at first. Add more to taste. [br][br]This is also good using half water/half chicken stock to boil the potatoes in. You can also add chicken bouillon cubes to provide a richer taste. Rosemary Potatoes are a great holiday dish, too. Watch your bowl disappear. 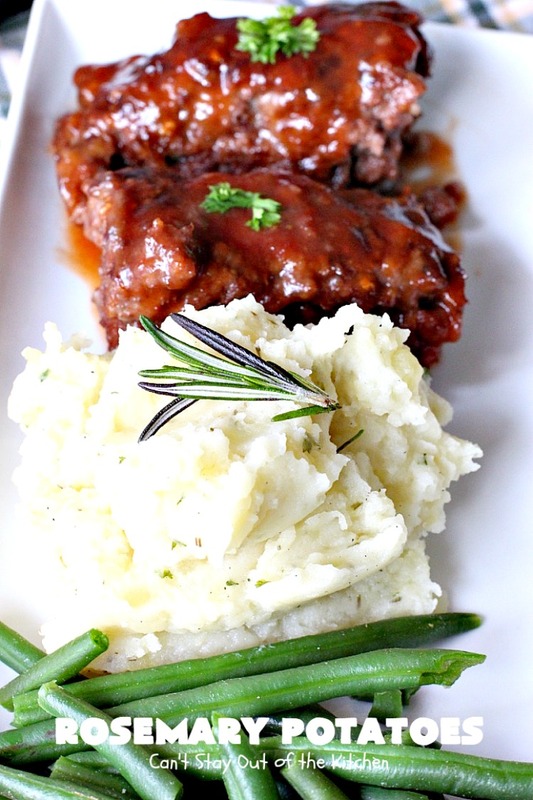 I served Rosemary Potatoes with Sweet and Sour Meatloaf.